Fick denna av en tradingkollega, tyckte den var rätt bra. * Trading offers lessons in life; it is a microcosm of life. * In trading we learn to master ourselves, even as we hone skills. * Trading teaches us to identify and pursue opportunity in the face of uncertainty. * Trading requires us to understand and respect risk, but not become paralyzed by it. * Trading pushes us to seek situations that offer more reward than loss, to stick with what is rewarding and exit what is not. 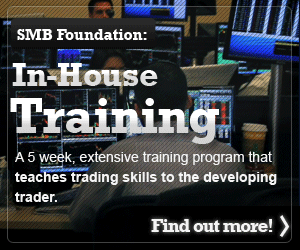 * Trading requires that we be prepared and disciplined, that we continually learn and relearn. * Trading prods us to be more than who we are by being more of who we are when we’re at our best.